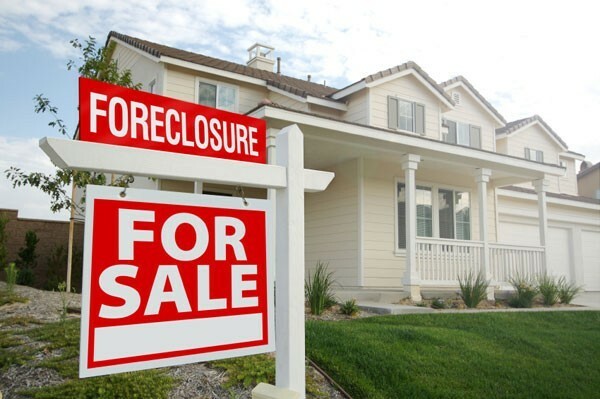 With the commercial and residential real estate markets heating up again, buying a property out of foreclosure is often a way to get a great deal on either residential or commercial properties. But buying these properties requires skill, attention to detail and knowledge of real estate titles since the lenders do all they can to limit their liability in their contracts. The contracts used by lenders selling foreclosed properties provide little to no protection for buyers. Unlike standard real estate contracts, they are often not negotiable and require the buyer to take all of the risks in the purchase of the properties. The brokers who sell these properties often know nothing about them and will not try to find out anything about the properties before purchase. They do this on purpose because the lenders don’t want the buyer to have any recourse against them if things go bad after closing. Buying a foreclosure property requires a few unique due diligence challenges. First, understand the contract and have your attorney explain it in detail. Normally, these agreements require waiver by the Buyer of any and all claims against the lender (Seller) for anything. Additionally, the Contracts have limited disclosures, they give you limited time to inspect and they require payment for items at the closing normally paid for by the seller. First, these contracts will limit your due diligence period. Make sure the Contract gives enough time for completion of your inspections including title and survey. Check with the local government to ensure there are no code violations. Check with the Home Owner’s Association to ensure there are no amounts due and there are no violations of any Covenants. Second, get a survey and title commitment done during the due diligence period and review them with your attorney. Your survey and title policy will provide some insurance should there be a problem with the foreclosure. The survey will ensure the property you think you are buying is what the bank is selling. Have your attorney review the foreclosure file as well. Some of the lender’s have their own title companies. The Lenders “encourage” the use of these companies by giving a discount on title for their use. Be aware these companies are on the side of the Seller. In fact, the lender owned title company doing your closing will not want you to get a survey since it increases their liability. The point, just get a survey done and have it reviewed by your attorney. Third, consider getting your own appraisal. These days, especially in Florida, the market is hot. An appraisal will ensure you are getting a good deal. Finally, have your attorney or broker explain the items the seller is not paying for in the deal that would normally be paid by the seller. At the closing, ensure you get the title company to mark up the title commitment. Also have the items deleted from the commitment as suggested by your attorney. Check your documents and get a copy before sending the money for the purchase. There are some really great deals out there right now. Just be careful. Let us know if we can assist in helping you with your acquisition of either commercial or residential properties of all types either in foreclosure or otherwise. Next PostYou Know Your Physical and Financial Health, but Have You Checked Your Legal Health?